Earlybird places are strictly limited and will be issued on a first-come, first-served basis. Please click here to go through to the secure booking form or call the team on +44 (0)20 3479 2299. Group Discounts Available: Send 4 attendees for the price of 3. Or send 3 and get your third place half price. Call the team on +44 (0) 203 479 2299 to claim your discount. This applies to brands only, not agencies and suppliers and cannot be used in conjunction with any other discounts, including earlybird offers. Unable To Attend? 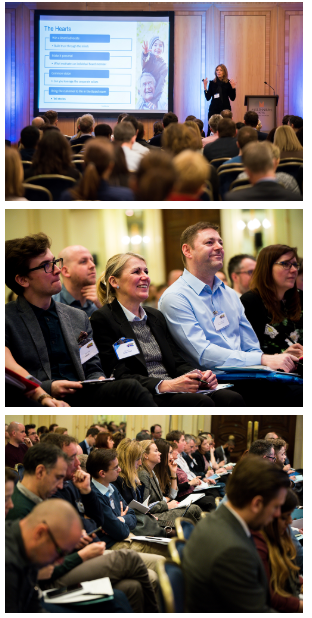 You can still get access to the speaker presentations for £199. These are subject to speaker disclosure and will be released one week after the conference. Please email info@processexcellenceconference.com or call the team on +44 (0)20 3479 2299 to purchase these. For more information on how you can get involved please call +44 (0)20 3479 2299 or email partner@processexcellenceconference.com.